Key West is blessed with some of the most consistently beautiful weather in the US. Our tropical climes not only attract tourists, but hoards of fish year-round. No matter what the season, there is always something worth catching in the waters surrounding Key West. 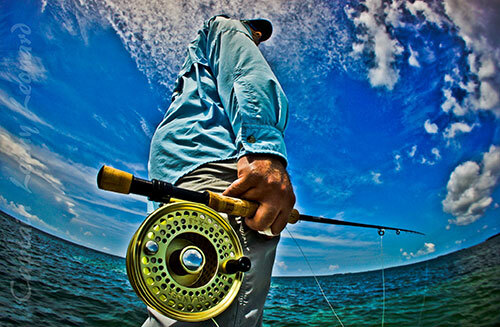 Our fishing calendar below will help you plan your next Key West fishing excursion. Use the fishing calendar to see what will be biting upon your next visit, or plan your next visit around your favorite quarry. If you need further information on what's hot, check out my current fishing reports, or contact me for more information. Prime time for monster barracuda, shark, jack crevalle, & cobia. Permit fishing great on warm sunny days. Excellent for barracuda, shark, jack, & cobia. Permit fishing begins to get better. Bonefish and tarpon can be found on the warm sunny days. Fantastic time for permit. Bonefish begin to return to the flats. Tarpon can be found on warm days. Barracuda and sharks still active. Night tarpon fishing begins. Peak permit fishing. Migratory tarpon arrive in great numbers, creating fantastic fishing. Bonefish abundant on the flats. Night tarpon fishing is excellent. Best month to fish for the grand slam. Red hot tarpon fishing. Trophy fish caught on spin and fly. Prime night time tarpon fishing. Permit and bonefish still roam the flats. Peak season for tarpon and bonefish. Permit return to the flats. Great time for fly-fishing. Night tarpon fishing remains excellent. Brilliant tarpon fishing continues. Night tarpon fishing still going strong. permit & bonefish remains excellent. Early morning tarpon fishing remains excellent. Bonefish remain active on the flats. Early morning tarpon. Warm water offers good permit and bonefishing. Super bonefishing. Cooler waters bring in the big bones, with shots at tailing permit. Peak bonefishing. Excellent permit fishing. Cobias begin to move into the shallows. Permit & bonefishing good. Barracudas and sharks begin to invade the flats.